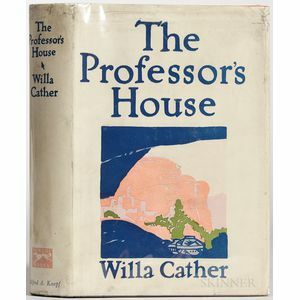 Cather, Willa (1873-1947) The Professor's House. New York: Knopf, 1925. 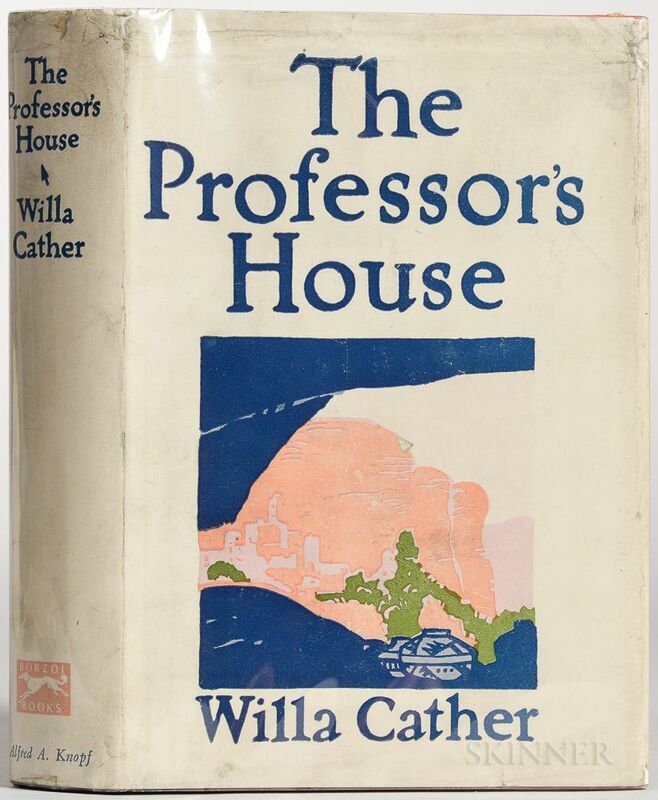 First edition, trade issue, octavo, publisher's dark blue spine and bright red textured cloth boards, in the original dust jacket (some wear to jacket, opened somewhat roughly at foot, 7 1/2 x 5 in.